Working for a startup isn't all scooters and free lunch, and in many cases, it's harder work with less pay, but in the end, it can pay off handsomely. Working for a startup can involve a lot of risk, that’s no secret; according to the Wall Street Journal, three out of every four startups fail. In fact, there are startups funerals in Silicon Valley where CEOs can highlight the demise of their defunct companies and ruminate on any mistakes made. But that doesn’t mean taking a job with a startup – even one that ultimately fails – won’t allow you to gain valuable experience and skills to add to your resume. So what exactly are the pros and cons of taking a job with a startup? “The drawbacks of working in a tech startup, and any startup, are generally related to short term risks. Pay isn't generally as good early on, benefits are limited until there are more employees, and the work life balance can be tenuous. In tech especially, there is always the chance that your major project could be circumvented by an unanticipated advance or invention,” says Sarah McMullin, Business Development Specialist at Camino Information Services. But there is a lot to be learned at startups, and some people thrive in the sink or swim mentality often present in new companies. Since there is a lot riding on a startup's success, emotions can run high and work loads can be significant. However, that high stress atmosphere can spawn great creativity, innovation, and reward. The first thing most people mention when you bring up startup culture is the work-life balance. Or in some cases, the lack of work-life balance. Startups are filled with people who are passionate about seeing a product or service come to life, and that usually entails long or odd hours. Culture has us believe people at startups ride scooters to their next meeting where they play foosball to brainstorm, but the reality is that startups require a level of dedication from each individual that you might not see at a corporation or big business. And there’s no assurance you will have your job for years to come. Long term success can greatly depend on the hard work of each individual employee hired by the startup. The lack of structure at startup companies lends itself to more than just your typical 9-5 working day. You may find that the lines of workweek and weekend begin to blur, as you while away the time hoping that your efforts will produce success. Some might appreciate this lack of structure, while others might thrive in a structured environment that a startup can’t provide. “Joining a start-up is very different from joining an established company. The main difference is the lack of structure in a start-up, which has an impact on work hours, processes, and working relationships. 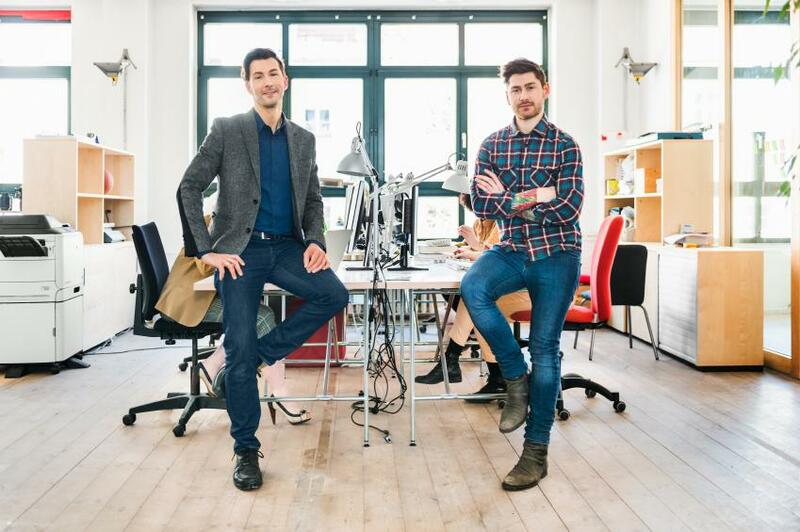 There are less rules, but that means there is more room for creative and entrepreneurial spirits to express themselves,” says Simon-Pierre Behr, CoFounder of Spotlight. Startup companies are undoubtedly filled with go-getters and people who are willing to go the extra mile or have dinner at their desk while working away on a project. Since teams are small, people generally have to wear a number of different hats, which can mean odd hours, late nights, and working on weekends. Funds are often low when a company is building their client base so they need to get everything out of their employees that they can. The long hours and huge workloads don’t necessarily mean a huge payout, either. Startups are working to get funding, which means money is often tight, and they can’t afford to pay employees the same high salaries they might find at other companies. “Benefits are not always as great - you work so much that your hourly pay is often lower, free insurance is sometimes present, but often only in early stage startups, not the mature ones,” says Christina Trampota Managing Partner CGM Squared. However, many startups manage to counterbalance the potentially low pay and lack of benefits with other perks. You might have the option to work from home, the company may enact an open leave policy, and some startups might offer perks like free lunches and meals. However, sometimes the benefits are more abstract, and stem from the satisfaction of a job well done. “Salary will be lower than you could demand at a corporate job. Start-ups combat this by offering more intangible benefits, like the ability to build something meaningful new from the ground up, and a piece of equity in the company,” states Joe Auer, entrepreneur and founder of Skill Voyage. Although there are a number of downsides to pay and benefits with startups, you might reap the rewards of success if the company does well. Plenty of startups will give employees stock options early on, which will benefit you if the company takes off. There’s also potential to be promoted to an executive position if you were with the company from the get go. That means you could work your way into an executive role in just a few years, rather than having to climb the corporate ladder at a business with a conventional hierarchy. When you take a job with a typical corporation, you are generally given time to train and acclimate to the company’s systems. You probably won’t feel the immediate pressure of your job for a few months, if at all. Bigger companies have more people to rely on, which means one person’s performance won’t necessarily make or break the entire company. The same is not true for most startups and you will most likely find yourself thrown right into the fire. Since startups have a small workforce with a huge mission, every single person factors into its success. It’s not as easy to check out for a day if you aren’t feeling well or were out too late the night before. Not that you should do that at any company, necessarily, but the impact on a larger organization won’t be as dramatic as it might be on a startup. Chris V. Nicholson Head of Communications and Recruiting at Future Advisor says, “In large corporations, no single individual has a huge influence on outcomes for the whole. In startups, everyone's performance matters. How you perform can materially change the outcomes for the group. Some people like that pressure; others don't." If the sink or swim attitude at a startup doesn't intimidate you or turn you off to working at a startup, it can be a great way to quickly gain a number of valuable skills for your resume. Since you will wear a number of hats and might need to learn things on the fly, like coding, you will have a well rounded and impressive resume to walk away with if things don’t work out. “Unlike like large corporations, where individuals have very specific job descriptions that limit their duties, in startups you have to adapt, and move from one set of duties to another as the startup grows and pivots. This often means mastering utterly new job skills, failing at them for a while, and finally doing the new job well,” states Chris V. Nicholson. You will also get to a chance to be a part of projects you might not get to touch at another company. Sometimes these projects are high risk but high reward, and will affect the overall success of the startup. And you will learn these new skills fast, since the entire culture of a startup is focused on fast success and fast growth. “Expect to take on more than what you were hired on for. “Your role will change, and you will learn to do different jobs. That's what's great about it though, you get to take on multiple positions. Your time spent in a startup will teach you things two to five times faster than a corporate position. And, if your startup is one of the lucky ones – the payout can be massive in the end. That's what we are all shooting for,” says Elias Ghosn, marketing director at Voodoo Alerts. The reality of startup companies is that they aren’t for everyone, and on person’s cons may be another person’s pros. But evaluating what you want out of a company and where you see your future, you can determine the right fit for you. Startups may fail, but there’s always the chance it will be a success, and even if it isn’t, you will undoubtedly walk away with a unique experience to help you find your next job. Every startup is different, but the common themes tend to be weird hours, small teams, ranging benefits, and a group of passionate individuals with one goal. If it feels like the right fit for you, check out openings on Monster to find startup companies hiring in your area. Monster wants to know: What do you think the pros and cons of working at a startup are? Tell us about it in the comments.